Get ready to start your day the Canadian way with this Maple Tea! Mornings are never easy, but a few sips of Maple Tea are bound to make them easier! The comforting flavor of maple is the perfect way to ease you out of your warm bed and into the work day, and it’s even better when paired with a steaming bowl of oatmeal (with maple syrup, of course)! 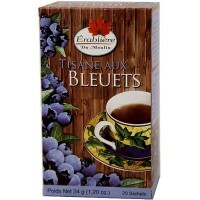 Black tea leaves, natural maple flavor, natural flavors. Contains GMO. 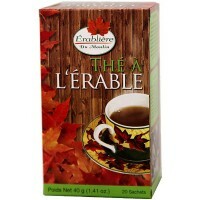 IF YOU LOVE MAPLE, YOU WILL FALL HEAD OVER HEELS FOR THIS TEA! 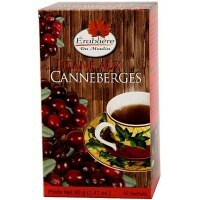 This is the most delicious tea I have ever tasted - full-bodied maple flavor and soooooo incredibly yummy! Even using 1 tea bag for a 1/2 liter cup, the flavor was intense and not at all watery. Like drinking maple syrup without the sweetness. I added a touch of maple syrup to sweeten it - absolutely wonderful!